Jewelry lovers often make the Tiffany and Co. charm bracelet a special addition to their collection. Like all popular jewelry pieces, forgeries abound, with some makers designing impossible-to-detect knock-offs. Of course, by the time the buyer has purchased a faux Tiffany charm bracelet, it's too late to do much. Before you purchase a Tiffany charm bracelet online or in a non-Tiffany retail outlet, it's best to analyze the jewelry thoroughly. There are many telltale signs that separate a quality Tiffany product from a cheap (or pricey) knock-off, and only a good examination will protect a savvy shopper from buyer's remorse. For the most foolproof Tiffany charm bracelet purchase, go to the source. Either a Tiffany and Co. store, or the online shop, can sell you an authentic Tiffany charm bracelet. Other than an actual company store, it will be anyone's guess as to whether the charm bracelet you're buying is Tiffany or not. 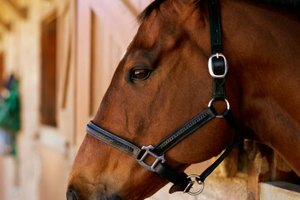 Purchasing a bracelet through an eBay or online auction can sometimes work out well, but is rife with risk. Tiffany is one of the most knocked-off brands on the Internet, and it's hard to ascertain different marks of authenticity through a monitor. Dalia Fahmy of ABC News writes, "Tiffany silver jewelry sold on eBay is often counterfeit, but there's not much the online auction site can do about it." If you're an online buyer, be very wary of what you see, even if there are pictures. An authentic Tiffany charm bracelet has several distinguishing factors. First, the bracelet will be heavy and substantial to the touch, with a major difference in weight from a knock-off. A real Tiffany charm bracelet with 25 links will weigh about 1.2 oz. Another notable feature is the sheen, finish and color of the metal itself. According to the website "SpotFakeHandbags.com," "Tiffany sterling jewelry will photograph dark silver and even gold colored sometimes, not pure silver or silver-white." It will also not appear dirty, dull or tarnished. Links are soldered together with an almost invisible join, and all surfaces are bright and evenly finished. A Tiffany brand charm bracelet will also have several stamps bearing the name of the company, along with the weight of the silver (925) and the designer's signature, if applicable. The stamp reads "Tiffany & Co. 925," "20xx Tiffany & Co. 925" or "T & Co. 925." If these stamps are off-center or missing from either the chain or pendant, it's probably a forgery. A forged Tiffany charm bracelet looks very much like the real thing, except for the low quality and poorer workmanship. The metals are much lighter and are apt to tarnish or dull easily. Hardware such as links and clasps are weak and are not well-crafted enough to join together smoothly. Stamps may be off-center, misspelled, or missing altogether. Also, keep an eye on the Tiffany pouch—it will be made of blue suede, with no other fabric used. Even a receipt for purchase won't guard an unwary buyer from purchasing a forged bracelet. Receipts are very easy to forge, and unscrupulous authentic bracelet purchasers have been known to sell their receipt and packaging online to earn a bit of extra cash. Sales slips are no guarantee that your charm bracelet is the real deal. With the market for fakes growing rapidly, it's more important than ever to make sure your Tiffany charm bracelet is authentic. Fahmy states, "The International Anti-Counterfeiting Coalition estimated that counterfeiting has grown more than 10,000 percent in the past 20 years and that the industry now generates $600 billion in revenues, or 5 to 7 percent of world trade, each year." Fake Tiffany jewelry is a part of this increase. To purchase a real Tiffany bracelet, only patronize official Tiffany stores or the Tiffany website. 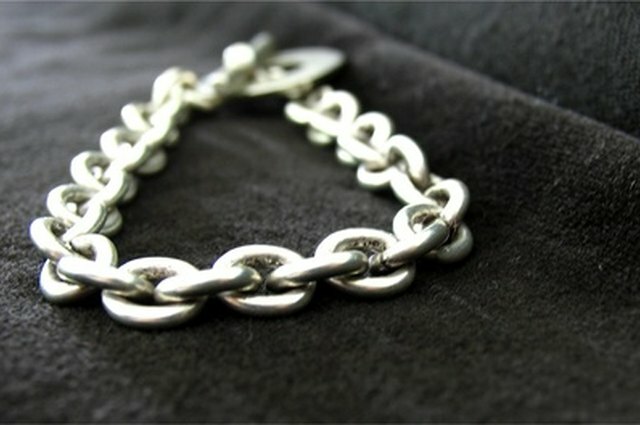 If buying from an individual through an online purchase, ask to meet up and take the bracelet to a jeweler for a look. If a deal seems too good to be true, it probably is.